We all have natural healing abilities. But, some are more gifted in this area than others. So, to test your ability I will give you some information on polarity energy balancing. It is very easy to learn and can be used without danger. This is life force energy which we all contain. It is thought of as a circulating energy field around your body. It flows through your body along natural pathways. To test your energy, take a minute and just rub your hands together. Then move your hands a little apart from one another. You will feel heat, tingling, vibrating hot or cold sensations or a magnetic energy field around your hands. This is your energy. It is your God given healing power.If you don’t feel it right away don’t be discouraged. Just try doing this exercise again at a later date. When you finish..just shale your hands forcefully like you are throwing off the energy. Then wash your hands to remove the static energy. You can use this to help yourself with headaches, stomach problems etc. Or you can use it to help heal others. Just place your hands above the area where u r having a problem and feel the energy in your hands. Do this for about 3 to 5 minutes. U will feel u r running out of energy and things r slowing down and know u r finished. This can be done easily and effectively. Try it. It is amazing how much energy u will feel coming off your hands. ALWAYS begin by centering yourself and cleansing your own energy field first. There are many ways to do this. I use the meditation for asking the Oneness to surround me with the pure, holy, golden-white light. I put it above me, below me, around me and thru me and ask for divine guidance. 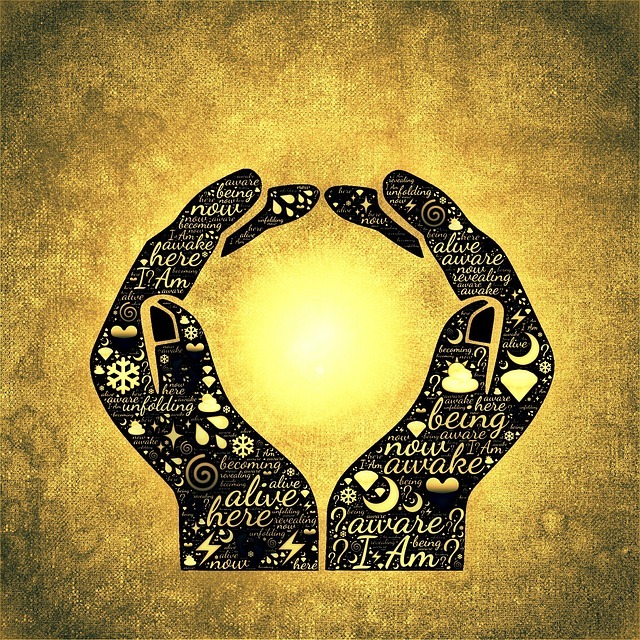 There are several methods you can use in polarity healing. One is deep massage, another is just a very light touch and the third is a non-physical touch. That is the one we will be using today. It is non-invasive. Begin by rubbing your hands together and feeling ur energy as it begins to radiate thru ur hands and ur entire body. Place the hands lightly over the body rather than directly on the body and u will feel the life force energy in the person’s body. When u come to a place where u don’t feel any energy or it is warm or cold…this is an area that needs attention. Placing your hands over this area ask for the pure energy to flow thru u and into the person u r working on. U will begin to feel this energy in ur body and it will flow into the area where it is most needed by the patient. Polarity operates by an electromagnetic field of energy that is universal. Have the patient wear comfortable clothing and work in a quiet, relaxed areas. Playing soft music helps as it soothes the patient. Remove all metal from the person before starting. It can slow or block the energy from flowing. Have the person lie down preferably on a massage table. Hold your hands over the blocked area until u begin to feel a better flow of energy in this area. U will feel the energy. Encourage the person to just relax. Do this over the entire body. When u r finished again shake your hands to get the negative energy off of u. Then wash ur hands and once again…center yourself by meditating and removing all negativity from u. This is a very simple exercise but, has a lot of value. Try it. ** Disclaimer: This is only served as introduction to healing and does not replace any medical or professional advice. We are not held responsible for any and all results from this exercise.